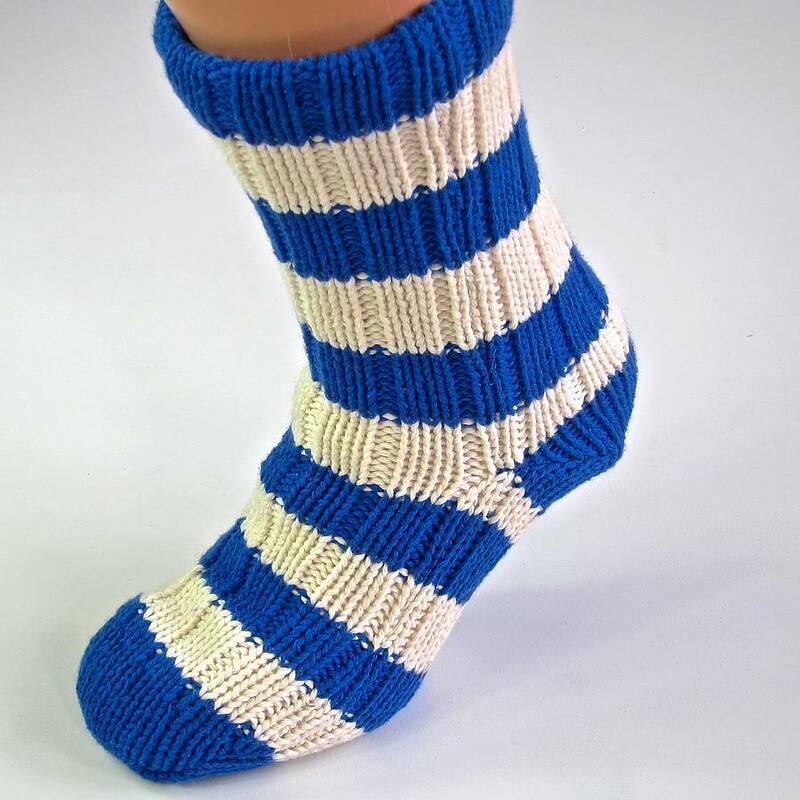 Kids' slipper socks in royal blue and white football stripes, by Savile Rogue. 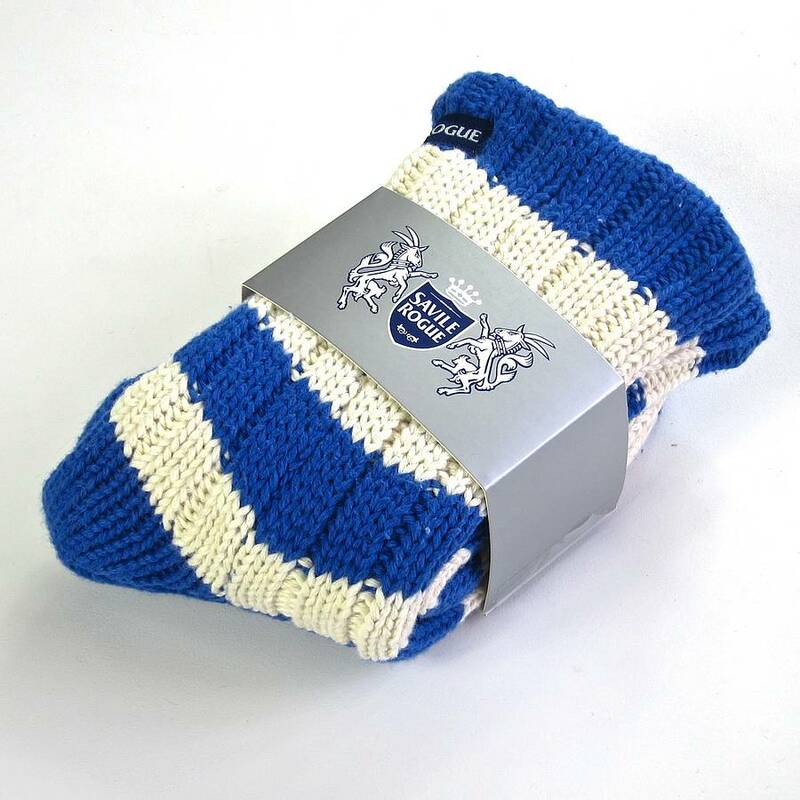 Here's a first - cool, kids' slipper socks in their football team's colours; royal blue and white. Think of them as football scarves for the feet. Perfect for slipping on at home and watching your team on telly. Chunky-knit and fleece-lined for sensational softness and warmth, with non-slip grips on the soles, these are the optimum indoor footwear. 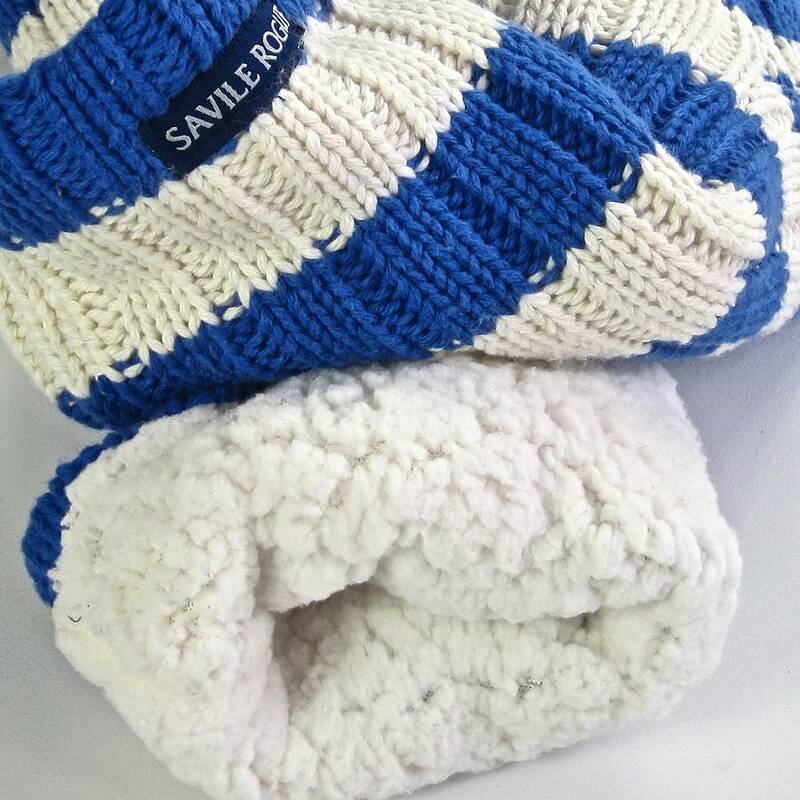 Wrapped in a silver Savile Rogue band, these make a fantastic gift for the young fan who has everything. Suitable for children size 10-3. Also available in two adult sizes: 6-8, 9-11. 50% cotton, 50% acrylic. Fleece lining 100% polyester. This product is dispatched to you by Savile Rogue.